Cherry blossom season is upon us. While thousands flock to the University of Washington’s Quad each spring to see the W shaped array of blossoms bloom in delight, crowds can be overwhelming. The hum of drones above the trees may distract visitors from the beauty that surrounds them. These lesser known cherry blossom destinations in Seattle will give visitors the same elegance and pinkish charm, without the madness of UW. Adjacent to UW is the famed Washington Park Arboretum. Take a stroll down the main drag, known as Azalea Way, for flowers and picnic spots abound. On a sunny day, you’re sure to see a fair amount of cute dogs, and the 1.5 mile walking path offers more seclusion and plant variety than the overcrowded Quad. Located in the International District, Kobe Park is home to an acre of community gardens and walking paths. Seattle’s sister city, Kobe, Japan, donated Mt. Fuji cherry trees to the space, which now line the park’s terrace. Visitors can enjoy a shady, fragrant stroll with a view of the Smith Tower to one side and Mt. Rainer on the other. Sporadically placed cherry trees around Green Lake’s loop will keep you guessing. Grab a friend and head out for a day of fun and light exercise as you search for these trees dispersed among the hammocks and people lounging in the grass. 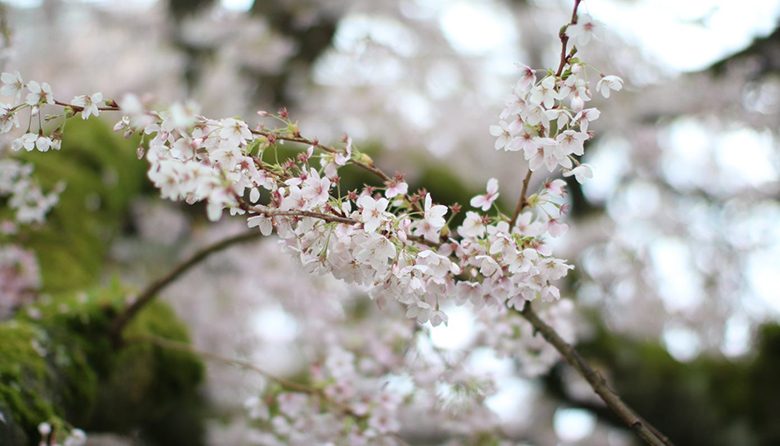 If you can’t make it out to any of these sweet spots, rest assured that you’ll probably see cherry blossoms somewhere around Seattle. Many neighborhoods have a tree or two, hiding amongst the boulevards and medians. There’s plenty of opportunities to be wowed by the blossoms that make your community come alive. Many of them are only a walk away!